This post is sponsored by Kimberly-Clark and The Motherhood, but all opinions are my own. See further below for disclosure. 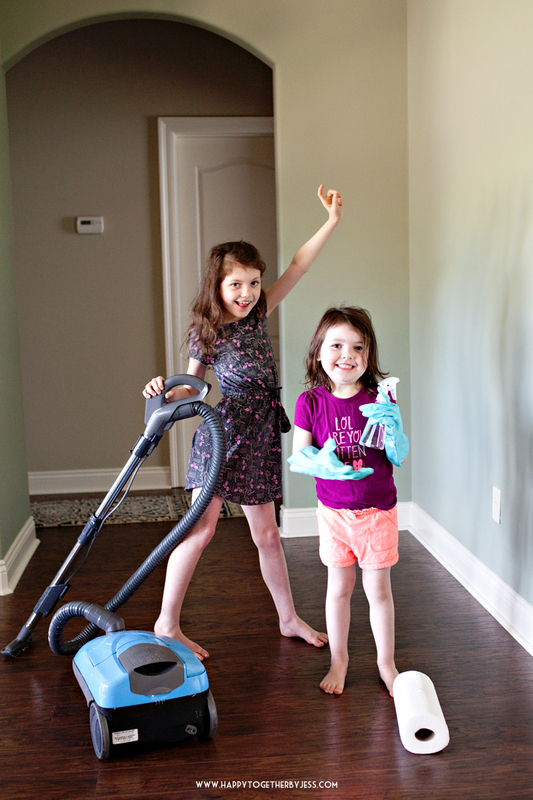 It is spring cleaning season and that usually prompts us to do a good deep cleaning of our home so I wanted to share how I go about getting prepared to make it fun and easier. 2. 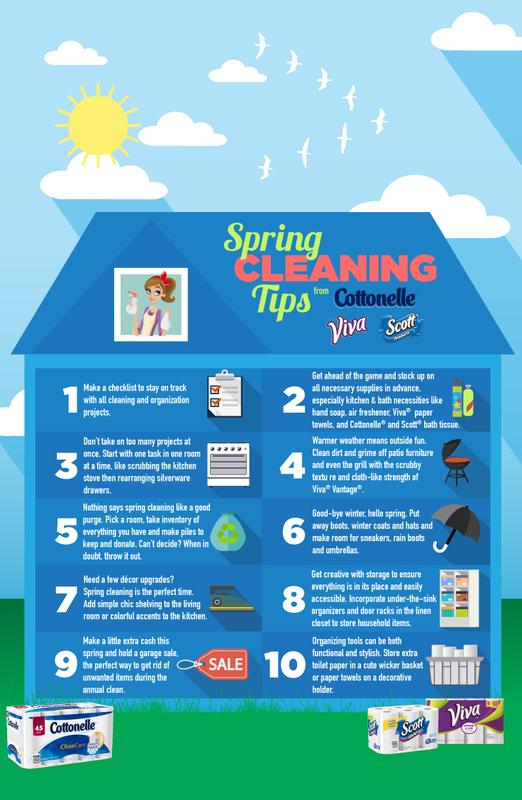 Create a fun atmosphere while spring cleaning. Most of us do not exactly enjoy cleaning so we can use all the encouragement we can get! Create a fun playlist of songs that get you motivated and belt out tunes while you clean. Nothing like a fun song to help create a positive atmosphere. You can also light your favorite candle or put a pot on the stove and fill it with good smelling spices and such to provide a sweet smelling aroma. I have this candle that I light whenever I need extra motivation, whether it’s for crafting up a project or cleaning. The scent takes me to a happy time in my life and always lifts my mood. Amazing how smells can do that huh? If you are getting your kids to help out you can encourage them by making special cleaning games. I started giving tasks points (ex: making the bed is 10 points, putting up dirty laundry is 5 points, etc.). Or if it’s just a simple task like picking up toys you could give each toy a point. Then have a reward system so when they reach a certain amount of points they have something to look forward to. For my girls, they really enjoy reading so it might be a new book or maybe a dollar because they really love going to the dollar store. 3. Use good quality products to make the job easier. We have moved over 5 times as a family (which means lots of deep cleanings so we could make sure and get our deposit back lol). So I tell you that I have tried tons and tons of cleaning supplies. Nothing helps a good cleaning go easier than by having the right supplies. I go for natural or non-toxic cleaners as I learned from my own blood/hair test how much toxins from household cleaners/paint/etc really get into our bodies. I was shocked at how high some levels were in my system. Good news though is that it helped me make a very positive lifestyle change. Then to go with those cleaning products it helps to have great products to wipe them up with. I partnered with Kimberly-Clark and The Motherhood for their Spring Cleaning Program and received some of their cleaning supplies to use and a giftcard to go shop for more at Walmart where you can find their products. These are brands that I have come to know and trust and they are easy to find. 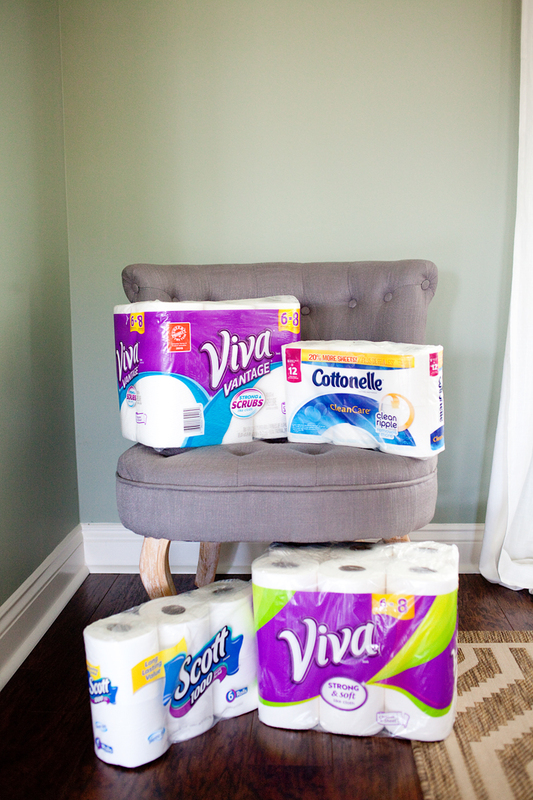 My girls and I both agreed that we love the feel of the Viva® Vantage® and Viva® Towels. They both have a different texture than regular paper towels. The Vantage® is kind of scrubby like a terrycloth. This makes them a better multipurpose towel as it can be used for more intense cleaning like scrubbing stovetops or patio furniture. The Viva ® Towels are more soft and smooth which is better for cleaning more delicate surfaces like wood furniture. I would say these are more strong and durable like a cloth so you could use it to wash dishes and have it hold up for a while. But honestly either one can still tackle all the cleaning jobs I do. Just depends on your preference. I know toilet paper isn’t a spring cleaning supply per say, but we still use it to clean up quick toothpaste messes and such in the bathroom. Why? It’s the lazy in me that doesn’t want to walk back to the kitchen for a paper towel lol. And it’s easy for my girls to get if they need to wipe up something real quick. The Cottonelle® Clean Care has the Clean Ripple Texture which is designed to clean your bum or other small bathroom messes better than others. The Scott® 1000 was also put to the test and I like how long it lasts since it has 1000 sheets per foll and having two little ones means we go through a lot of toilet paper. I parterned with Kimberly-Clark and The Motherhood for this post and received compensation for doing so. All opinions are my own. Thank you for supporting businesses that support Happy Together.